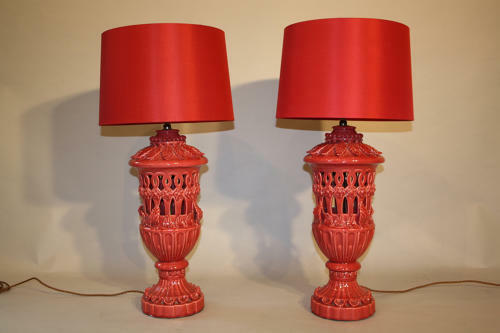 Wonderful dark cerise pink glazed ceramic table lamps by Casa Pupo. Great size and decoration. Italy c1960. Rewired and PAT tested for UK use.